IT integration must sit at the heart of the M&A process. This year’s rumoured big M&A deals may look appetising for those involved, but without the right IT systems integration, they could run into operational difficulties and scupper projected financial benefits. I identify the key components of successful IT systems integration and examine the mooted Vodafone/Liberty tie-up to understand how businesses can integrate with success. Big or small, M&A activity is seen as a strategic enabler by business. From bringing acquisitions on board to gain new capabilities or market share, to disposing of units which may be underperforming, the benefits are there for all to see. But despite the opportunities presented, the complexity of IT integration following M&A activity is routinely underestimated or even intentionally avoided, with consequences for buyers and sellers. While M&A has to be addressed from areas as diverse as branding and headcount, successful integration (or de-merger) is the key process which will determine whether it succeeds or fails. And, unfortunately, getting systems integration right is far from easy. While CTOs / CIOs and their respective functions will be tasked with getting the merger online, IT is often overlooked when identifying potential deals. Blanket savings from what are euphemistically referred to as ‘synergies’ can be found in footnotes on many slide decks from companies, masking the realities of the deals they are supposed to be explaining to shareholders. The ongoing saga around IT migration at TSB, following its spin-out from Lloyds, demonstrates just this issue. The acquisition was done on the basis that the bank would shift from Lloyd’s IT systems to a newly built Sabadell platform, but this has proven a difficult task which is yet to be completed. As a direct result of this failed integration, TSB announced that IT costs were to blame for a significant reduction in last year’s annual profits. The consequences of this short-sighted approach dented the projected financial benefits of the deal, arguably removing the rationale for the original acquisition. But how can we learn from these kinds of mistakes? 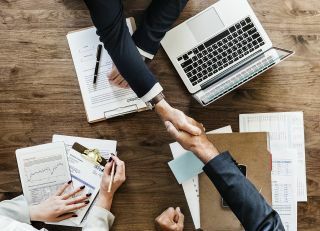 For companies embarking on M&A activity (be it integrating a new acquisition, de-merging a business unit, or setting-up a joint venture), there are key considerations at each stage of the process: due diligence, post-merger planning, and implementation. Comprehensive due diligence: at the beginning of the acquisition, a comprehensive due diligence process must be conducted, to get under the skin of the organisation (and this approach also rings true where new entities like JVs are set up). Building up a realistic picture of the target acquisition is crucial. To do this, sufficient time must be allocated during the due diligence period, while IT expertise must be brought in at this stage. Without this hands-on experience of systems, not just that of CIOs / CTOs, you can easily make the wrong assumptions about systems integration. And taking units offline as you look to dispose of them requires a similar level of scrunity. Post-merger planning: once the acquisition is complete, post-merger planning begins which will be used to create an integration strategy. All analysis must be based on the business objectives of the newly created organisation. From here, you can create a useful analysis of business processes, systems architecture, design and deployment. Something as simple as billing can become very complex if records between the two merging businesses vary even only slightly. Over-looking tiny details can cause significant issues later on. Solutions implementation: finally, when working through the range of actions required from the strategy, you have to employ smart solutions. Instead of over-optimistic approaches, such as setting up completely new systems as in the case of TSB, be realistic. Building new systems may seem preferable to attempting to merge a tangled web of systems, but often solutions utilising flexible middleware can be equally functional, without requiring the same level of time and resources. Liberty and Vodafone: a match made in…complexity? Much recent speculation has focused on a potential tie-up between global telecoms giants Liberty and Vodafone. For acquirers, Vodafone’s UK business is viewed as “the jewel in the crown”, while joining together would allow Liberty-Vodafone to challenge the biggest telecoms companies in Europe. If a mega-merger is to take place, what integration problems could be encountered? First and foremost, any tie-up would seek to identify operating and capex synergies which would deliver savings through merging operations. But consolidating two systems into one isn’t a straightforward case. Business processes, people, systems architecture, and systems design and deployment – all need to be analysed properly, so the merged entity can brought together in the most efficient way. The next steps then involve decisions about the future of respective legacy systems. CRM, billing and workflow may all be bespoke, before we even arrive at extraction and merging of data. Will we be able to do a simple ‘lift and shift’, or smarter solutions like data virtualisation more appropriate? The wider context for Vodafone and Liberty, such as 5G, Brexit and regulatory hurdles, add in further complexity to the deal. It remains to be seen if this mega-merger comes to pass, but for them to make a success of it, integration will require many difficult decisions. Remember, these organisations have a history of acquisitions and there are multiple legacy systems already underpinning each organisation. It would be a herculean effort to fix the existing integration issues, let alone pile on some new, even bigger ones! Despite economic headwinds like Brexit, M&A activity remains front of mind for UK business. While deal values in 2017 were slightly down in the UK (with a drop in mega-deals and “Brexit-discount” just two contributing factors pointed to by analysts), M&A volume is continuing apace. ONS stats peg domestic M&A value at just short of £19bn for 2017, £76bn for outward activity and £35bn of inward investment. In terms of inbound M&A, deal numbers reached 254 in 2017, up from 226 in 2016, according to data from Mergermarket. In this context, it is vital that IT integration sits at the heart of the M&A process, given the huge sums and numbers of companies involved. By adopting key principles at the most important phases of the process – due diligence, post-merger planning and implementation – you can avoid the problems which hit M&A success, destroy shareholder value and imperil businesses.